“The Nutting Girl” is the entertaining debut mystery by Fred DeVecca. When the small town of Shelburne Falls, Massachusetts is invaded by a movie company Frank Raven is hired to protect the hot new star twenty-one year old, Juliana Velvet Norcross, who seems to have a habit of disappearing. Raven, a monk, retired police officer and detective has decided life shouldn’t be full of stress, so his choice is to run the local movie theater. Juliana, aka Velcro, is a “train wreck.” If it’s illegal, outrageous and dangerous, she seeks it out. However, what most don’t know is she just wants to be loved for herself and figure out who she is. Nick Mooney, producer/director, is your typical Hollywood type: loves his women and money, and feels he has power over everyone and everything. When bodies start mysteriously showing up the town is abuzz with all possible scenarios. Raven’s girlfriend and her daughter are on the hunt to find out what is going on. Meanwhile, in steps Lorenzo, a paparazzi photographer who might have pictures that will help solve the disappearances. DeVecca’s characters are well-developed and have many layers of intrigue. Raven was my favorite in that he had lived through so much in his life and felt he was a person who could find anything, but himself. Often called a quitter by many associates he tries to talk himself out of being that person. Mooney is presented as your typical director: sleazy and money hungry, but at the same time really loves Velcro. Readers will love or hate him and the control he has over others, yet will sometimes feel sorry for him as he turns to the bottle to get over his feelings for Velcro. I found the plot to be engaging and unique. The dialogue was genuine and the pace flowed naturally. The only thing that was off-putting for me was that I felt bogged down at times by all the secondary characters. Unlike the main characters, I found these characters to be shallow and almost cult-like when it came to their devotion to Mooney. 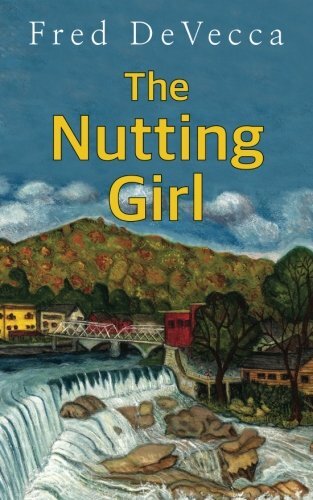 Overall, “The Nutting Girl” by Fred DeVecca is a fun debut novel that is easy and pleasurable to read and follow, with an underlying theme and a plot that will hook readers throughout the entire read.